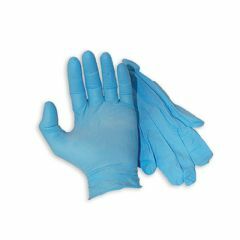 The Esteem Sterile PowderFree Nitrile Textured Blue Exam Glove are latex-free exam gloves. The stretchy material feature a unique, stretchy formulation that conforms to your hand quickly. The soft, flexible material facilitates a range-of-motion, especially around the thumb area. There is no DEHP as in vinyl gloves.